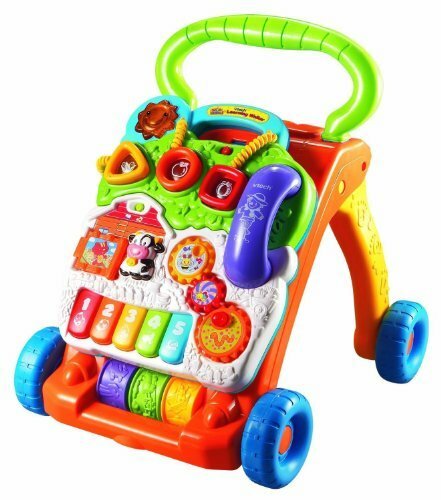 Great toy for the new walker in the family,he loves the colors noises and gadgets,will have to buy another one because 2nd walker takes it away from him.So it is well made,takes the knocking around,good cost . 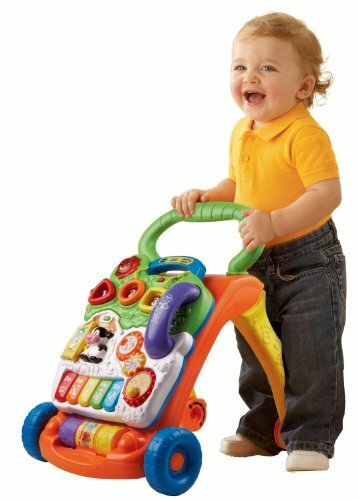 VTech Sit-to-Stand Learning Walker is a great toy for your toddler to help out with walking. We have one and my granddaughter is always mobile now all over the house. She just loves all the bells and buttons and the music is a great asset. 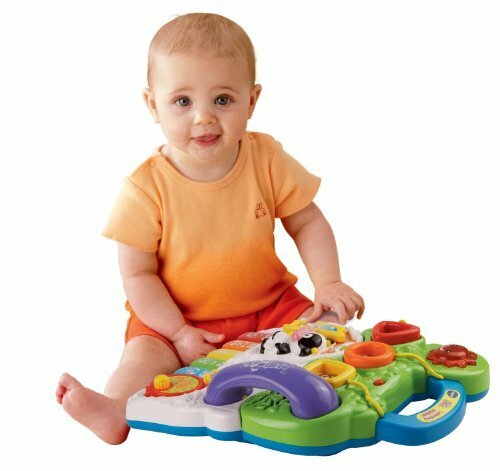 It has an early learning center with 5 piano keys. 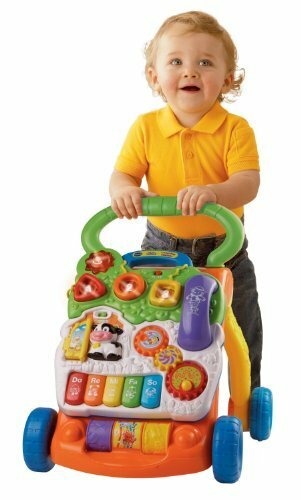 It needs 2 AA batteries which are included to run. It also has 70 sing-along songs, I’m sure your little one will love.!!!!! !